Major flooding occurred in many areas of the state earlier this year. The floodwaters were incredibly powerful, causing significant damage in certain places. Floods also can harm water quality and the environment. Did you know that after a flood, your drinking water sources may be contaminated? TexasFlood.org features an interactive map, making it easy to access data on rising rivers, streams, and reservoirs during floods. The site also provides valuable information about the precautions you can take before, during, and after a flood to ensure that you and your family stay safe. As floodwater flows across yards and along roads and curbs for drainage, it will carry anything from those surfaces along with it—oil and grease found on the road, lawn chemicals, fertilizers, and debris. You should avoid contact with floodwater, as it can contain elevated levels of contamination. 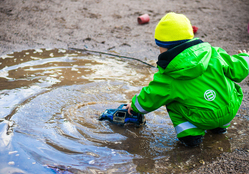 Do not allow children to play in floodwater, or play with toys that have been in contact with floodwater. Once the floodwater recedes, chemicals and toxins can still be present. Although the water is no longer visible, it can often leave behind contaminated sediments. Even if you are not near a road or waste area, contamination could have been carried to your area by the floodwater. Learn about cleaning up after a flood. After a flood, be safe before you drink the water. Regardless of whether you have your own water supply or get water from a public water system, you may need to take special steps to ensure that your drinking water is safe. Had Enough of Pesky Mosquitoes? The recent heavy rains and flooding in many parts of Texas could lead to a larger mosquito population. These insects play an important role in the ecosystem. However, they can be a nuisance when abundant and can also carry diseases that can harm people. Learn effective and environmentally friendly ways to reduce mosquito populations around your home and prevent bites. The San Marcos River has long been an iconic natural resource. However, in recent years, invasive species have spread in the ecosystem and water quality has declined. In response, the City of San Marcos and Texas State University partnered on a restoration project. So far, volunteers have logged over 6,000 hours of work to restore the river and the community will continue to work together to repair the damaged ecosystem. The two organizations received a 2016 Texas Environmental Excellence Award in the Civic/Community category. 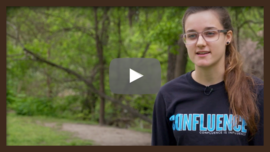 University of North Texas Science Education Research Lab and the City of Dallas are saving their community 22 million gallons of water annually! Through hands-on education programs designed for elementary, middle, and high school students, the partners have been teaching their community about water conservation. University of North Texas Science Education Research Lab received a 2016 Texas Environmental Excellence Award in the Water Conservation category. You may not think of a municipal water system as the driving force behind environmental education. But the San Antonio Water System recognized the need to educate tomorrow’s leaders. Their IMPACT program teaches youth about science and civic responsibility, developing environmentally conscious thinkers. The program received a 2016 Texas Environmental Excellence Award in the Education category. Applications are now available for the 2017 Texas Environmental Excellence Awards! The awards recognize outstanding environmental projects in nine diverse categories from all over Texas. The last day to submit an application is Sept. 30, 2016. What Would We Do During Another "Drought of Record"? In order to help Texas meet its water needs during a repeat of the “drought of record,” the Texas Water Development Board develops a state water plan every five years. The state water plan is based on 16 regional water plans. The “drought of record” occurred during the 1950s and is the most severe drought recorded in Texas’ history. The 2010 to 2014 drought is ranked as the second-worst drought on record. The 2017 State Water Plan was recently adopted. According to the plan, Texas’ water demands are expected to increase by 17 percent while existing water supplies are expected to decline by 11 percent. The 2017 State Water Plan includes strategies and projects to develop new water supplies and conserve existing sources. If the state water plan is not implemented and we experience a drought as severe as the “drought of record,” the TWDB estimates that the annual economic losses from water shortages would range from $73 billion in 2020 to $151 billion in 2070. The Texas climate has experienced both drought and very wet episodes. Our water resources will always be affected by this variability. 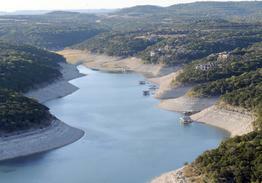 Therefore, the TWDB recommends conserving water, even during non-drought conditions. 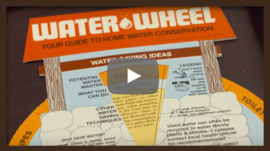 Learn about ways to conserve water. 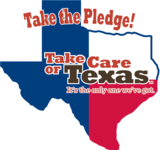 Visit the TWDB website to learn more about the 2017 State Water Plan. Summer is a popular time to get outside and cool off by floating the river, swimming, boating, fishing, and enjoying the beautiful Texas beaches. There are many surprising items that can pollute our waterways, causing environmental harm and making them unenjoyable for you and your fellow Texans. Learn how you can protect your favorite spot from potential pollutants, so that you can enjoy it all summer long! Even if you are not going in the water, you can still do your part. 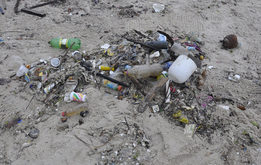 When you are on the beach or near a waterway, be sure to properly dispose of your waste. When trash and litter reach the water, they can affect the water quality, which can be harmful to other people, plants, and aquatic life. If a receptacle is not available, bring an extra trash bag and take your waste home with you. 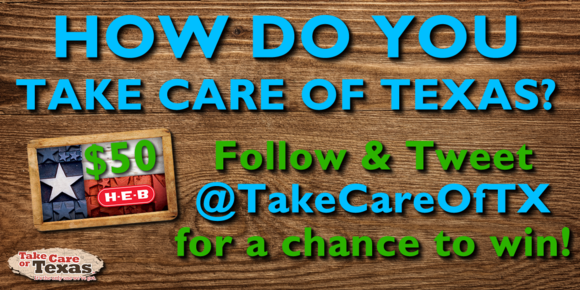 Help keep Texas clean for all to enjoy. Invasive zebra mussels have infested many lakes across Texas, and could take over all freshwater sources if they are not stopped. This invasive species harms native fish and mussels, as well as damages boat hulls and reduces the performance of boating equipment. Check out how the Working Dogs for Conservation are doing their part to help stop the spread of zebra mussels in Texas waterways. You can do your part to save our lakes by making sure you clean, drain, and dry your boat, trailer, and gear every time you leave a body of water. Never transport water, animals, or plants from one water body to another. Learn how you can take action. Boat sewage can present risks to human health and the environment. Many Texas waterways are a source for public drinking water or contact recreation, such as swimming. Boat sewage should never be discharged into waterways, as it can introduce disease-causing microorganisms into the water, create an imbalance in the ecosystem, and cause problems for aquatic life. The TCEQ’s Clean Water Certification Program helps improve water quality in Texas by requiring owners of boats with marine sanitation devices and owners of pump-out stations to certify that their MSD or pump-out station is operating properly. 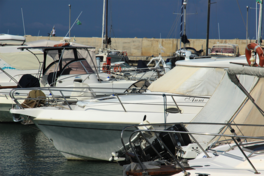 The Marina Association of Texas offers more clean boating tips to help you protect the Texas environment when you’re out on the water.